I thought it might be helpful to address some of your security questions. If you have any others you’d like me to address, or if you have first hand experience with any of these (and better answers), please let me know. This post is not to scare you. Maui is a very safe place to visit. But, please use common sense, just as you would at home. What do you do with your phone and keys when you go to the beach? I love sunset at the beach! Is it safe to just leave them with your towel? Honestly, don’t take anything of value to the beach. If you must bring your phone (I know, it doubles as our camera, book, etc), make sure someone stays with your stuff when you go in the water. Or, pick up a water proof case, either at home or at the ABC store. I know of people who have used ziploc bags to protect their phones when going paddle boarding. Would I? Probably not… If you are staying at one of our condos, we have keyless entry, so it’s just the car key you need to worry about. Is it safe to leave valuables in the rental car? Would you leave valuables in the car where you live? Probably not. If you must, maybe because you can’t check into the condo til 3 or 4pm or because you have a late flight and couldn’t get a late check-out, place everything in the trunk of the car and do not open the trunk to get things out (in case anyone is casing your vehicle). If you are renting a jeep, there is no trunk, everything is visible (and accessible if it’s a soft-top). In six years of living here, we haven’t had a vehicle break-in, but that doesn’t mean it can’t happen. A few years ago I wrote this post on ‘What to do about late check-out at your condo?‘ Have a read. Did you know, most flights to Canada and a surprising number of flights back to the mainland leave in the evening? Check-out at our condos is at 11 AM. Is it safe to leave valuables in the condo? Generally yes. But, know that there are others who by necessity have access to the condo. The owner, the property manager (in the case of our condos, we are the owner and property manager), the cleaning lady and the manager of the complex you are staying at (they need to have access in case of emergencies and for the quarterly pest-control treatments). If you are staying at our condos, we have personal safes for you to use (I have an override key should you forget the code or the battery randomly dies). Otherwise, I recommend just placing your valuables in a drawer or at least out of sight. It’s happened a few times where I’ve had to go into one of our ground-floor condos (with guest consent) to repair something, and seen the blinds wide open and laptops, ipads, phones and once even a wallet just laying out. When staying in a ground floor condo especially, please don’t do that. It’s asking for a break-in. At minimum close the blinds when you leave. 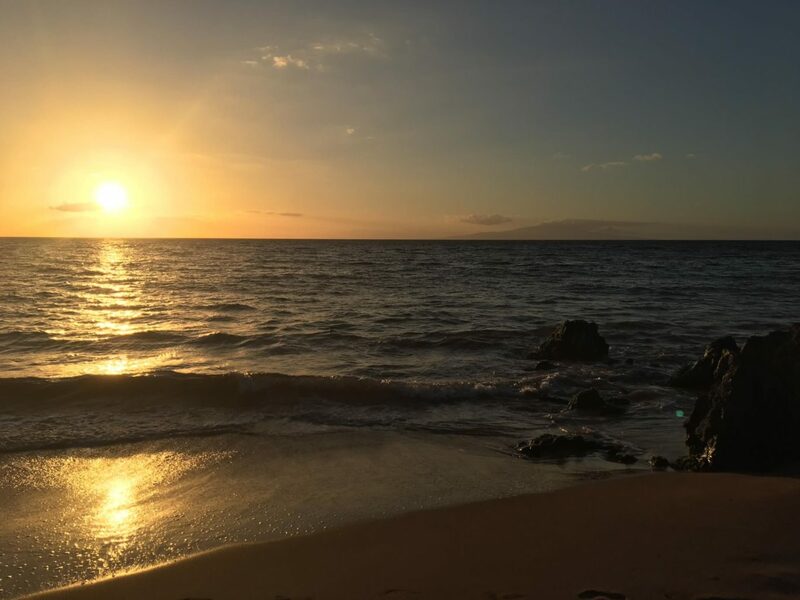 You may have noticed, it is really dark on Maui at night. Why is this? Power is super expensive here and street lighting isn’t cheap. On the plus side, it makes for some great star viewing. Generally the tourist areas especially are quite safe to be walking at night. But use common sense. I also strongly recommend taking a flashlight. A few years ago I didn’t see the edge of the sidewalk – ouch. I was walking with crutches for over a month. All in all, Maui is a pretty safe place to be. But like most places, we also have drug and homeless problems and crimes of opportunity do happen. A little common sense will help you have a great vacation – I’d hate for you to have a negative experience because of something preventable.